Originally developed as a military cartridge, the .338 LAPUA Magnum may well be seen by small-arms historians as one of the most important cartridges developed in the latter part of the 20th century. The .338 fills an important but previously unfilled tactical niche between 7.62mm and .50 caliber sniper rifles, since it is capable of delivering reliable hits to 1,500 meters. Thanks to innovative bullet designs developed at Lapua, the .338 LAPUA Magnum also makes a compelling cartridge for long-range target shooting and hunting big game such as moose, bison and bear. The .338 LAPUA Magnum is an important cartridge to military snipers because it significantly outperforms the 7.62x51 mm (.308 Winchester) round, which is the most common cartridge used in the sniper rifles of NATO and other Western countries. Rifles chambered in 7.62x51 mm tend to be reasonably light and maneuverable while providing a good mix of accuracy and penetration out to about 600 meters with conventional ammo and to about 900 meters with VLD (Very Low Drag) ammo. The .300 Winchester Magnum, which is increasingly being fielded in sniper rifles, provides good performance out to about 1,000 meters. That's a long shot, but serious problems in the real world can need solving at greater ranges. In the military environment--whether conducting conventional operations, so-called peace-keeping missions, or special operations--it's not uncommon to come under heavy weapons fire originating a kilometer or more away. There has been considerable interest in fielding precision rifles chambered for the massive .50 BMG (12.7x99rnm) machine gun round to counter such long-range threats, since this round has a maximum effective range of about 2,000 meters. There are several liabilities to .50 BMG precision rifles: (1) they are much bigger and heavier than conventional rifles: (2) their massive recoil impulse makes them unpleasant to shoot: (3) their massive muzzle blast is very unpleasant for both the shooter and his spotter, and therefore tends to cause all but the very best shooters to flinch; (4) muzzle blast tends to kick up debris (not to mention the considerable muzzle flash) that can reveal the shooter's position to hostile forces; and (5) .50 BMG rifles are frequently less accurate than rifles designed for the .338 LAPUA Magnum. Size and weight are important issues since .50 BMG rifles frequently weigh 26 pounds (12 kg) or more without optics. It is safe to say that lighter rifles in this caliber are unpleasant to shoot. Furthermore, rifles built at the lighter end of the .50 BMG envelope have caused more than one separated shoulder or detached retina. Finally, .50 BMG rifles are neither handy nor maneuverable. One can make the argument that .50 caliber rifles should really be viewed as crew-served weapons. While these rifles excel at a long-range anti-materiel role, they don't have the optimum mix of characteristics for long range anti-personnel applications in my opinion. The .338 LAPUA Magnum is capable of placing reliable hits well beyond a kilometer (0.6 mile), yet the typical .338 rifle only weighs about 2 pounds (I kg) more than a comparable .308 rifle. The weapon is much more pleasant to shoot than a .50 BMG rifle, its muzzle blast and flash are considerable less, and both the rifles and the ammunition provide a more cost-effective option for long-range military sniping. I am aware of no other cartridge that effectively competes with the .338 LAPUA Magnum in bridging the gap between the .308 Winchester and .50 BMG cartridges. In terms of external ballistics, the.338 LAPUA Magnum's 250 grain (16.2 gram) FMJ projectile has a better ballistic coefficient than .30 caliber projectiles, and it is less sensitive to crosswind. Therefore, it should not be surprising that the .338 LAPUA Magnum outperforms the .300 Winchester Magnum, especially at ranges beyond 1,000 meters. I suspect that we'll be seeing a lot more of the .338 LAPUA Magnum cartridge, since a widening circle of end-users are evaluating its merit as a sniping round. The British Ministry of Defence, for example, recently adopted the Accuracy International Model AW Super Magnum chambered in .338 LAPUA Magnum to meet its requirement for a long-range sniper rifle. The Netherlands has adopted .338 rifles as their standard sniping weapon, and several European countries are evaluating .338 rifles as well. Barrett Firearms in the United States is working on three interesting weapons chambered for this round: a bolt-action rifle, a semiautomatic rifle, and a belt-fed machine gun. Other companies producing rifles in .338 LAPUA Magnum include McMillan Brothers in the United States, Sako Ltd. in Finland, and the German companies Mauser Werke Oberndorf GmbH, Heym Jagdwaffen GmbH & Co. KG, Keppeler & Fritz GmbH, and Erma Werke GmbH. Lloyd DeSantis in the United States is even making a scaled-up clone of the AR-15 rifle designed expressly for the.338 LAPUA Magnum. I used Erma's SR 100 Praezisionsgewehr (Precision Rifle) to evaluate the performance of the .338 LAPUA Magnum, which provided almost unbelievable performance at long range. The Sako TRG-42 cal. .338 LAPUA Magnum rifle from SAKO Ltd., Finland, features an overall length of 1200 mm, a cold forged barrel length of 690 mm, a weight of 5.6 kg without optics, and a five-round detouchable box. The .338 LAPUA Magnum, also known as the 8.6x70mm, was originally developed in 1983 as a long-range sniper cartridge for the U.S. Navy designed to push a 250 grain (16.2 gram) bullet at about 3,000 fps (914 mps). After a series of experiments, the Research Armament Company in the United States designed a round based on a slightly shortened and necked-down .416 Rigby case, building rifles for the Navy that used Hornady bullets and cases from Brass Extrusion Labs. The cartridge went from wildcat to production status when Lapua Ltd. in Finland refined the design at the Navy's request. The standard .416 case was not robust enough to support the average pressures generated by this cartridge, so Lapua kept the outside dimensions the same but beefed up the web area of the case. I should note that average pressures for this cartridge run a bitless than 60,915 psi or 420 MPa, and no single round will exceed 70,052 psi or 483 MPa. Muzzle velocity of production ammunition is a wee bit slower than the original concept, running about 2,950 fps (900 mps) out of the average rifle. This round will still be supersonic at 1.300 yards (1,200 meters), however, while 7.62x51 mm M80ball commonly goes subsonic around 770 yards (704 m). Accuracy and velocity at long range are greatly facilitated by the design of the Lapua projectiles, which have had a reputation for extraordinary long-range performance since the 1930s, when Lapua developed a special bullet with rebated boat tail designed to give Maxim belt-fed machine guns unprecedented accuracy at ranges of 1,500 meters and beyond, while minimizing barrel erosion commonly associated with boat tail bullets of conventional design. The resulting precision D46 and D47 bullets delivered a lot of gold medals in national, world, and Olympic championships. The new .338 LAPUA Magnum ball round features a novel bullet design based upon that heritage. The B408 Lock Base bullet features much more robust construction and a conspicuously shorter rebated boat tail, which is also distinguished by a slightly pointed base. The B408 Lock Base provides superior accuracy at long range while delivering a flat trajectory. Lapua offers a broad range of tactical and sporting rounds for the .338 LAPUA Magnum, and it would be useful to take a brief look at each of these different rounds. It should come as no surprise that Lapua offers the largest selection of factory ammunition being produced for the .338 LAPUA Magnum. All variants feature a brass case and noncorrosive boxer primer, and are suitable for barrels with a 1 turn in 10 inch or 1 in 12 inch twist rate. The patented design of the Lock Base bullet enables the base of the projectile to tolerate higher velocities and chamber pressures that would deform the base of conventional bullets and therefore degrade accuracy. The rebated boat tail greatly reduces drag and provides a flatter trajectory than flat-based ball. This is the best choice for military applications and long-range target shooting. I should note this bullet design is also available in 7.62x51 mm ammunition featuring either 150 grain (9.7 gram) or 170 grain (11 gram) projectiles. The Scenar bullet is a match-grade, hollow point boat tail design that is suitable for long-range target shooting as well as for law-enforcement applications. The HPBT projectile weighs 250 grains (16.2 grams), and its low-drag design gives it an excellent ballistic coefficient. Scenar ammunition is also noteworthy for its consist quality from one box to another. The Scenar bullet design is also available in 7.62x51 mm ammunition In three bullet weights: 155 grain (10 gram), 168 grain (10.9 gram), and 185 grain (12 gram) as well as respective moly-coated Silver Jacket Scenars. For hunting big or dangerous game, Lapua recently introduced the FOREX soft point hollow base rotating bands bullet that features an ingenious hollow rear chamber, which puts the projectile's center of gravity forward of geometric center. This gives the SPHBR projectile much better, arrow-like stability when encountering objects in the bullet path, and this design also provides flatter trajectory. The FOREX projectile features CNC-machined construction that includes narrow driving bands to engage the rifling with minimum bore wear. Nammo Lapua Oy also makes cal .338 AP-bullets as well as star-crimped blanks and dummy steel inert training rounds for the .338 LAPUA Magnum. Figures 1 and 2 compare bullet velocities and trajectories of the .338 LAPUA Magnum 250 grain (16.25 gram) FMJ B408 Lock Base, with White Feather 7.62x51 mm 175 gr (1 1.38 gram) FMJ BT, and Remington .300 Winchester Magnum 190 gr (12.35 gram) FMJ BT out to 1,500 yards. Since the .338 is also intended to perform in an anti-materiel role, momentum is compared in Figure 3. 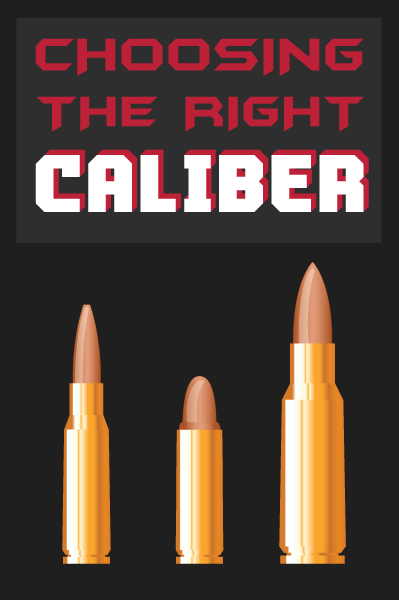 These data will give a sense for intrinsic capabilities of these three sniping calibers. In order to determine actual hands-on performance of the .338 LAPUA Magnum, I employed Erma's SR 100 rifle, which was designed as a military sniper rifle and was first marketed in January 1996. Perhaps the most noteworthy aspect of the Erma's design is that it features quick-change barrels in .308 Winchester, .300 Winchester Magnum, and .338 LAPUA Magnum. The German counter-terrorist teams GSG-9 and KSK adopted the SR 100 in .338 LAPUA Magnum. Clearly, the versatile Erma SR 100 has some interesting potential for military, law enforcement, and advanced sporting applications. Shooting the Erma rifle proved addictive for two reasons: (1) the accuracy it delivered, and (2) the human engineering that went into the rifle.' The muzzle brake was particularly effective. The .338 LAPUA Magnum kicked like a .308 fitted with a sound suppressor, and the .308 kicked like a .223 rifle. But it is the accuracy delivered by the Erma that really makes the SR 100 interesting. Using a Nightforce Mil-Dot 5.5-22x56 rifle scope, I found it easy to shoot 3/8 to 1/2 MOA groups at 200 yards (183 meters) until the wind picked up. The Nightforce optics were wonderfully bright and sharp, enabling me to see .338 caliber bullet holes clearly at 200 yards. My groups do not represent the inherent accuracy of either the rifle or the .338 LAPUA Magnum cartridge, however. A better workout was conducted by Steve Comus (formerly a U.S. Army sniper and now editor of Safari Magazine) and three of his colleagues over a period of four days. ERMA SR 100 cal. .338 LAPUA Magnum featuring a paratrooper-length fluted barrel and a Nightforce Mil-Dot 5.5-22 x 56 rifle scope. Using the ErmaSR 100 with .338 LAPUA Magnum barrel, all four shooters commonly shot 0.2 MOA three-round groups at 100 yards (91 m). Many groups were a single ragged hole. the best measuring just 0.13 inch (3.30 mm) center to center. Over four days of variable lighting and air movement but no real wind, the Erma with .338 LAPUA Magnum barrel routinely hit 9.25 inch (23.5 cm) paper plates at 1.500 yards (1,374 meters). If one discounts the first shot or two to dope out air movement at the beginning of each shooting session, none of the four shooters ever missed a paper plate at 1 ,500 yards (0.85 mile or 1.4 km). That's almost good enough to get a head shot at nearly a mile. Hits at 750 yards (686 m) were so easy that the shooters got bored. It is safe to say this is extraordinary performance. The Erma SR 100 Precision Rifle is a very interesting and a very versatile system, featuring kits that enable the operator to change calibers in the time it would take to change shoes. Quick-mounts enable swapping day and night optics without the loss of zero. When employed with the .338 LAPUA Magnum kit, the Erma SR 100 can solve problems nearly a mile away (1.5 kilometers or 0.9 mile). This system provides a mix of capabilities that can satisfy a wide range of missions. Only accurate rifles are interesting, and this is the most interesting rifle I've ever used. The Erma also demonstrates that the .338 LAPUA Magnum offers compelling performance for military snipers and law-enforcement special response teams, as well as for civilian target shooters and big-game hunters. The .338 LAPUA Magnum has earned the respect of advanced military and civilian shooters, and this impressive round should become increasingly popular in the 21st century.